If you are a new mom looking for a Conroe newborn photographer, you may have noticed that there are different types of photography out there! I happen to be one who loves all of them! When my two boys were born, I really wanted everything! I love the magic of birth, the joy new life in the hospital, that first family portrait, and of course those beautiful newborn poses! It is important to me to be that photographer to my clients! Let me show you what the different styles look like with AHP! Birth photography is such a beautiful thing! These sessions are all about the journey to meet your new little love. Birth photography is very documentary in nature. 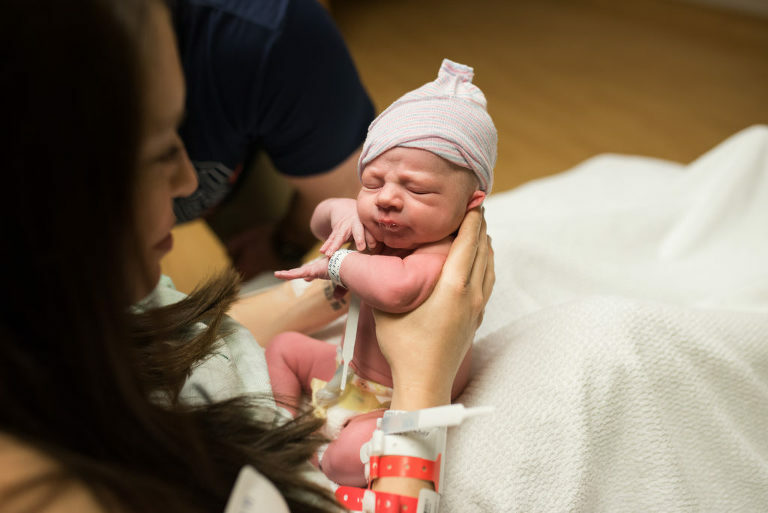 I’m there to document your birth story so that you will have the memories forever. 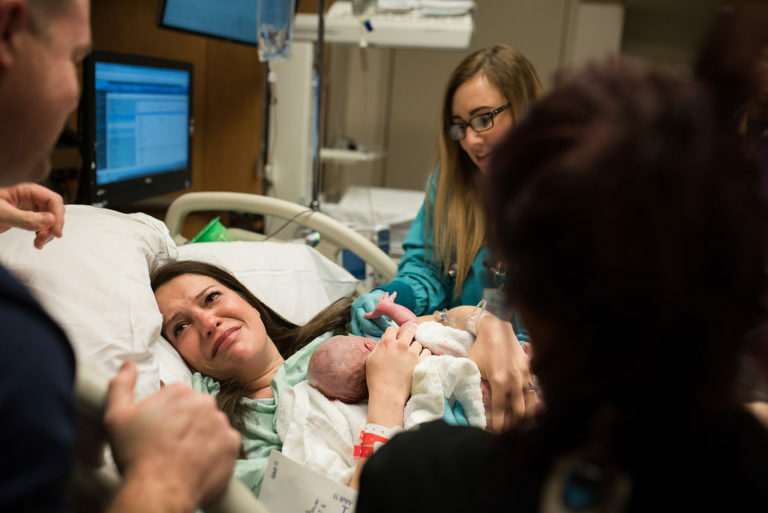 Some of my favorite photographs from births are the reactions of moms meeting their new baby! 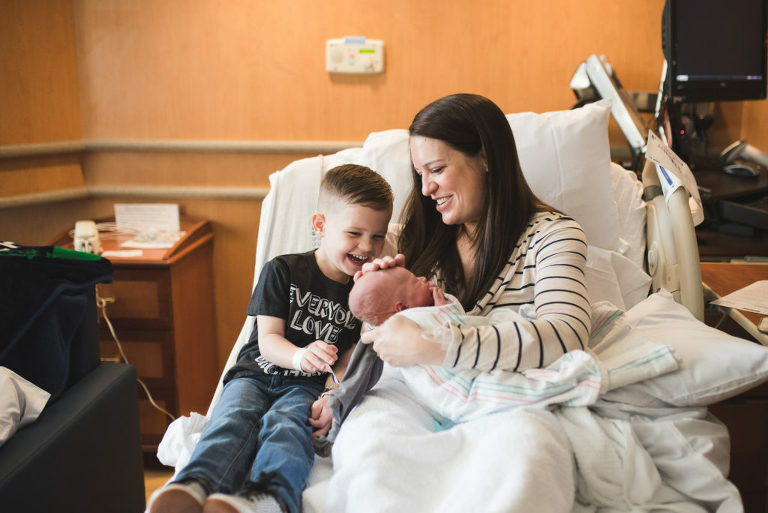 Birth images are delivered in a slide show of all your favorite photos! Hospital days seem long and tiresome, but boy do they go quickly! 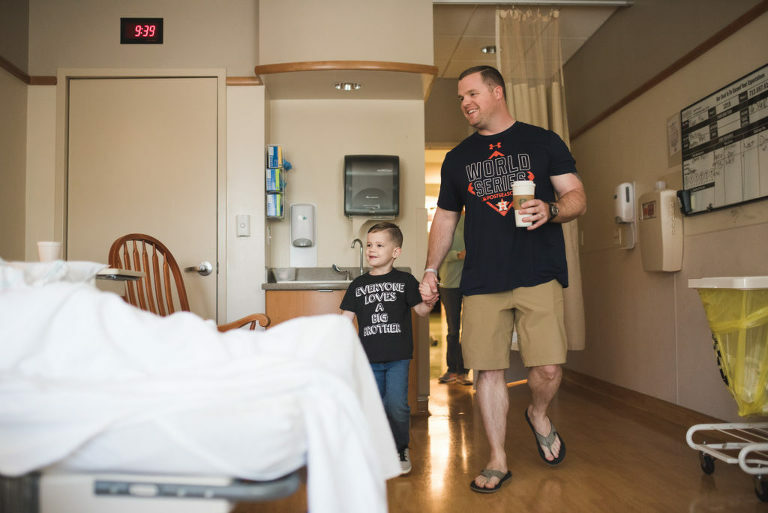 These sessions are all about photographing you in the hospital as a new family! Like birth, these sessions are usually a little more documentary in nature than my in-home lifestyle sessions. Read more about Fresh 48s on my blog here! I saved your favorite two for last because they are the essential sessions. These are the sessions that you see most often and are the most requested! Most of my clients combine these two sessions, but they may also be booked individually if one fits your family more than the other! Lifestyle newborn portraits are in-home sessions. These are just like family sessions, but they focus a little more on your sweet baby. Lifestyle sessions include the whole family as well as sibling portraits and the baby alone. I like to use your master bedroom, living areas, and the nursery if you have one. Lifestyle sessions do not include the newborn poses that you see below in the studio portion. Lifestyle newborn images are typically on your bed, their crib, or their rocker. For more examples, see this post! Curious what to wear to your lifestyle newborn session? Read more here! Studio newborn sessions are all about your new baby and their gorgeous features! I start each session with prop poses like buckets and boxes. Then we move to the bean bag for blanket poses seen above. These sessions also include the whole family! The family portraits are more posed portraits than what you will see in my lifestyle sessions. Each session takes place in my studio in Montgomery, TX. For more about studio sessions, follow this link! I hope that this comparison helps you to see the full range of newborn photography offered by AHP! Contact me here to schedule your newborn session today!